The dental profession refers to the dental cleaning appointment as a dental prophylaxis, or prophy. It’s most significant functions are prevention of dental disease and patient education. It is likely the most important and valuable visit a patient may ever make to the dentist. Topical fluoride treatment to the age of thirteen. Periodontal charting, and scheduling of additional periodontal care as indicated. Plaque is the colonization of natural oral bacteria on food debris that remains on the surface and in the crevices of the teeth and gums. Combing with minerals in the saliva, it ultimately forms a hard, rough sediment known as dental tartar or calculus which attracts further plaque buildup. Calculus must be removed by a dental professional for the prevention of periodontal disease. Removal of calculus may be performed by a licensed dental hygienist or dentist, either by manual scaling of the teeth, or with an ultrasonic device. The choice of technique is a personal preference by the hygienist or wishes of the patient. Most states permit trained dental hygienists to administer local anesthetic and nitrous oxide (laughing gas), often necessary for deep periodontal scaling and root planing. Light or moderate tartar buildup is commonly removed by manual scaling instruments of various shapes and sizes The skills of the hygienist are especially important for this procedure. The ultrasonic scaler, commonly called by the brand name Cavitron or Piezo, is often indicated for the efficient removal of heavy, tenacious tartar and stain The hygienists may follow its use with hand scaling for a more finite smoothing of tooth and root surfaces. Many patients state that use of these types of instruments are more comfortable than hand scaling alone to do this type of therapy. Accumulation of plaque causes inflammation of the gums and an ensuing breakdown of the periodontal attachment (the fibrous connection of the teeth to the supporting structures). Pockets between the teeth and soft tissue become deeper, and the underlying bone recedes Increased pocket depth encourages the formation of more calculus, plaque and further tissue breakdown. The ongoing bacterial colonization byproducts, perpetuate the disease process. Lasers are also used in our office to minimize bacteria between the tooth and gum tissues. This type of therapy is painless and is often performed to minimize the loss of gingival attachment and bone loss around the tooth. The therapy is performed in conjuntion with deep scaling or gingival surgery if indicated. Unfortunately, at the present time, most insurance companies will not reimburse for this new type of therapy. The dental prophylaxis is refined by a final polishing of the teeth to remove stain and create a sensation of fresh breath and a clean mouth. It may be accomplished by spraying high pressured water mixed with baking soda paste onto the surface of the teeth (prophy jet polishing), or a rubber cup and polishing paste. 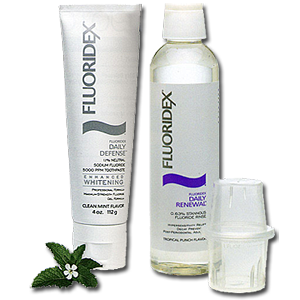 Many states permit a certified dental assistant to polish teeth with a rubber cup and to apply fluoride for children. The dental prophylaxis is especially important for children to establish good oral hygiene practice and to appreciate the importance of dental health. Easy dental prophy appointments help create self esteem and will lessen anxiety should dental restorative care become necessary in the future. A child’s first dental visit should be around age 2-3 years old.